For the uninitiated, what is People Just Do Nothing all about? Sniper: It’s basically a guide to how to successfully run a pirate radio station. By following me around and observing the way that I can deal with any given situation. Beats: The BBC have cut out most of the technical side in terms of how to set up the rigs and that so now it is more looking at our lives and some of the stuff outside of the station as well. Sniper: Yeah now it’s got bits with my missus and my little girl, and they filmed a lot of stuff with [manager] Chabuds, who’s another quite well known character around these ends. Beats: That’s all that equal opportunities though innit. BBC need to have a couple of them in there. Sniper: Don’t you tell it, you always tell it wrong. Beats: Yeah go on, you tell them. Sniper: Basically me and Beats were doing sets out of my window, me MCing and him DJing and we used to get loads of people gathered outside on the playing fields. Sniper: But you could tell they were there for the music. You can play football anywhere. Anyway one day Steves, who was mates with my brother Phobia, turns up at mine off his nut with a massive aerial and saying that we could start a radio station. Beats: He’d done acid at a squat rave and had a vision. Sniper: Anyway, long story short, we ended up getting a transmitter off Chabuds and putting the aerial up on the top of the tower blocks. It was actually really easy to set up. Beats: We got Chabuds to do most of it didn’t we? Sniper: Yeah but with us telling him how to do it though. Beats: Once it got going that was it. Never looked back. Sniper: Never needed to. Don’t need to look back when you’re moving forwards. Beats: We started to get a bit of recognition around the estate, built up a decent following. Now we get between two and twelve texts per show. Sniper: And we’ve got people like you lot banging our door down for interviews. Everyone watching us on TV and that. Sniper: Still TV though. BBC Three. Sniper: I’d probably say political figures mainly. Strong leaders. Freedom fighters. Prisoners of war. Beats: Mine’s probably DJ EZ. PJDN began as a grass roots project with total editorial freedom. What’s it been like to work with the BBC? Beats: They’re alright, yeah. They give you free lunches every day and breakfast as well sometimes. We had our mates coming down and we were just handing food out to all the kids off the estate. Beats: We had to pull them up a few times didn’t we? Sniper: I kicked off a couple of times. Beats didn’t really. Beats: Yeah, I would have though. Beats: They took out one thing where I gave quite an interesting description of various different types of skunk and the way they can influence the brain. Sniper: People should know about stuff like that. That’s useful information. Beats: I’ve got mates who could have used that information a couple of years back. One geezer went nuts and thought street lights were following him. He had to move to the countryside. Lives in Cheshire or somewhere mad like that. Sniper: Mostly it’s psychological. Stay positive. We’re a positive influence for people. Inspirational stories for the young generation. Beats: Always keep doing what you want to do. Sniper: Long as it’s not something proper stupid. Beats: Yeah, keep it believable. I find the best way is to aim to do something that you are more or less able to do already. Then make that happen. Sniper: Yeah, stick to what you know basically. No-one likes a failure. If it is a success – and we really hope it is – where do you see it going next? Sniper: Apparently if this gets enough views then they’ll film more. Maybe do a whole series about us. That’s what we want, basically. Beats: We might even get paid for some of it I reckon. Sniper: Probably build the empire, get our own club nights. 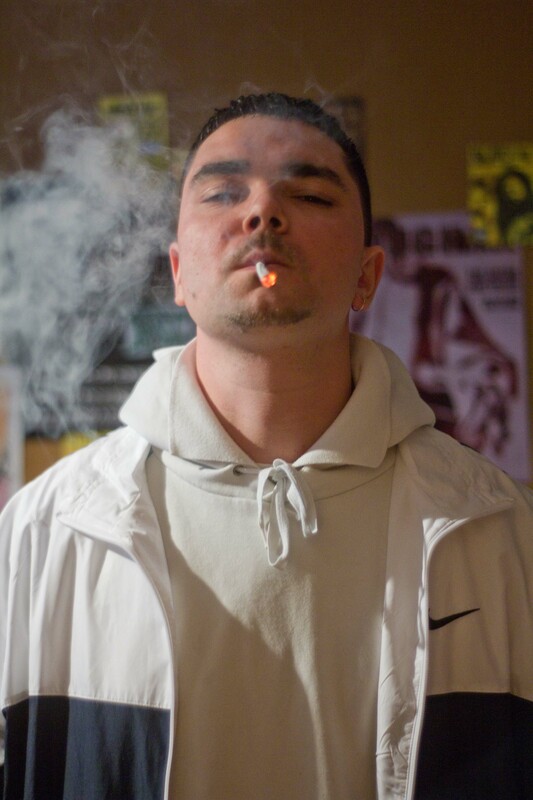 Sniper: I Am Kurupt FM. Sniper: It’s a shame this didn’t happen a bit sooner. Would have been good to be part of the Olympics opening ceremony. Did we hear anything back about that? Sniper: But whatever happens, we’ll keep building. And in a puff of smoke, Beats and Sniper were gone. The first episode of People Just Do Nothing is on BBC iPlayer now. Here’s part 1 of the original web series. 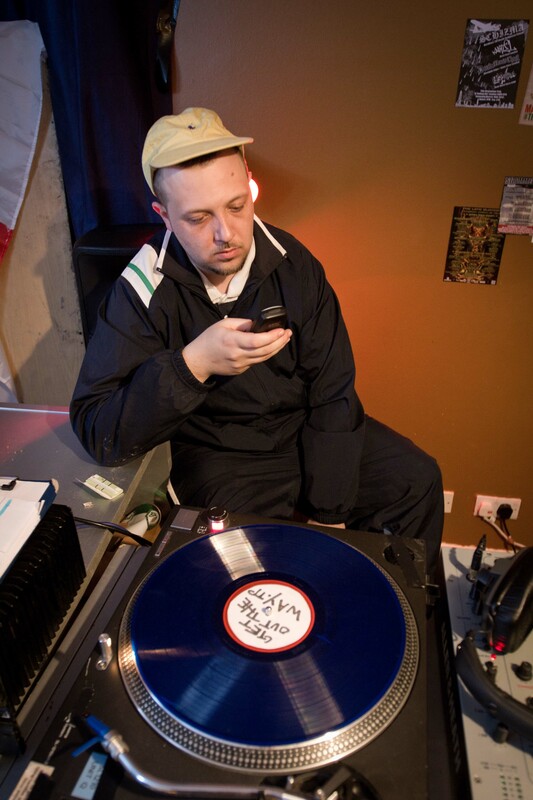 This entry was posted in Features and tagged BBC, Beats, Brentford, Comedy, iPlayer, Kurupt FM, People Just Do Nothing, Pirate radio, series, Sniper on July 3, 2012 by Ashley Clark. Hope it becomes a series too! Think it’s really funny, good characters with lots of potential. Beats:’ I find the best way is to aim to do something that you are more or less able to do already. Then make that happen’ yes good philosophy….. Boys from KURUPT Going Far! !